Could you go a year without your smartphone? Paper notebooks I’ve filled over the past few years. Bottle of vitaminwater for scale. I wonder how many more notebooks I’d complete if I didn’t have a smartphone? In a few weeks, vitaminwater will challenge one person to ditch their smartphone for 365 consecutive days. Is that even something that can be accomplished in this day and age, where our smartphone has become so vital to everyday life? How painful would it be? 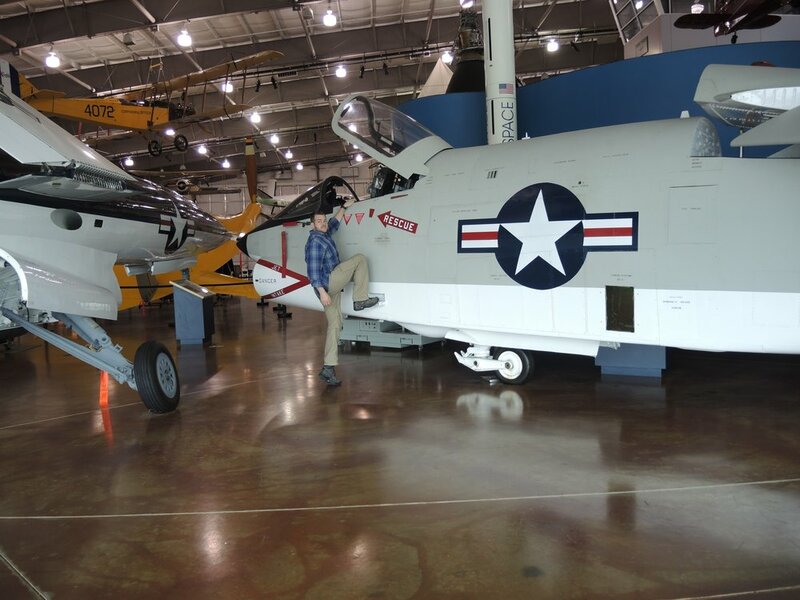 Could it be likened to using a horse for transportation while everyone else has a car? If so, I imagine the breaking point being much shorter than a year. I'm not entirely sure how different my life would become if I didn't have a smartphone but I've decided to enter the vitaminwater contest in an effort to find out. 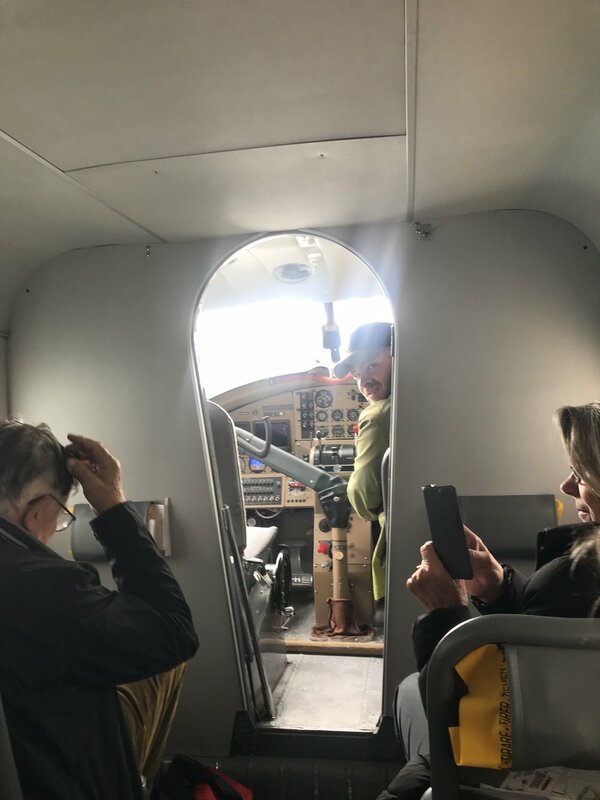 What makes me the most nervous is that I can't tell you the last time I went without my smartphone for more than a few hours, let alone a year. And if you're honest with yourself, you probably can't either. So much of my life revolves around using my smartphone. It handles just about everything, from fast-food mobile orders, to photography, note taking, depositing paychecks, even my doorbell is completely based in an app! How deep does this level of control go? Spending a year without a smartphone won't be easy but I'm ready for the challenge. Even if I don't win, I still think it's a fantastic thought exercise and I highly recommend you consider joining in too. If you're interested in hearing more, check out the page I made specifically for this project. Update: I wasn’t selected for the contest but that’s a-ok. It was a wonderful thought exercise and I wish their contest luck. It won’t be easy but it will be worthwhile. 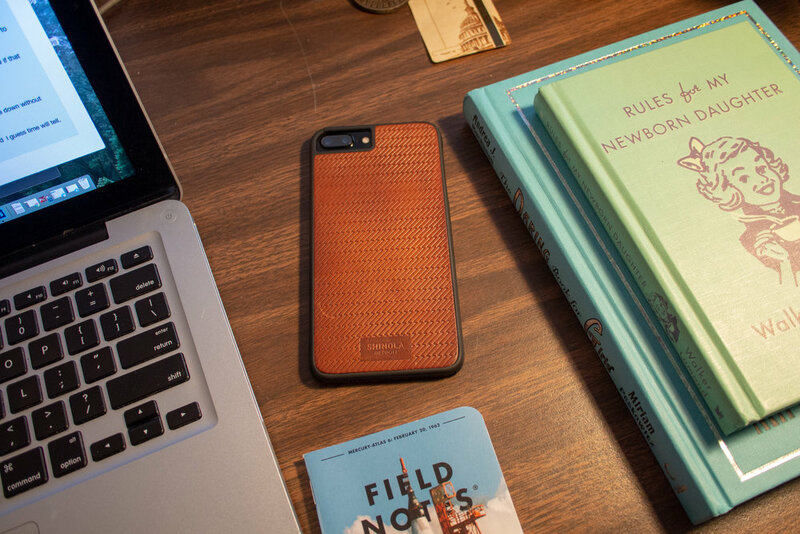 I'm a huge fan of the Apple leather case for the iPhone but it seems they only have a two year life cycle in them. Probably because most iPhone owners upgrade at least every two years. That's my own completely unscientific study by the way. 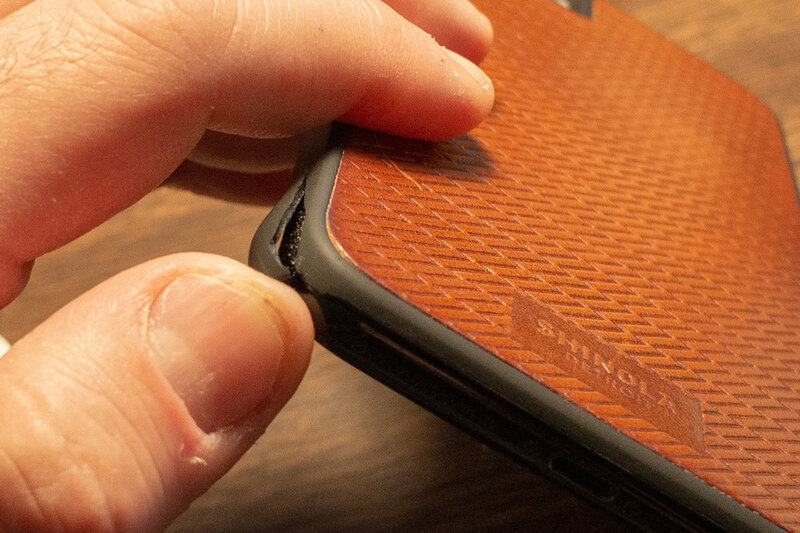 I just mention it because both my wife's phone and my own have had an Apple leather case on them and one of the corners (on both) have failed in a way that leaves the phone unprotected. And my iPhone now has a scar to prove it after a pretty decent drop. 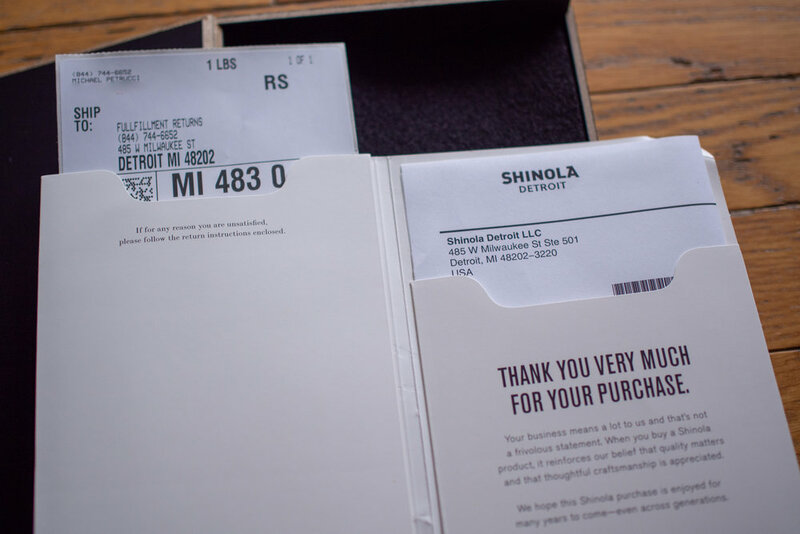 While on the hunt for a new case, I found one from Shinola that looked interesting and the coupon they recently sent me sealed the deal. I ordered the case in Bourbon and straight out of the box I could tell how different it was from the Apple leather case that I'm used to. 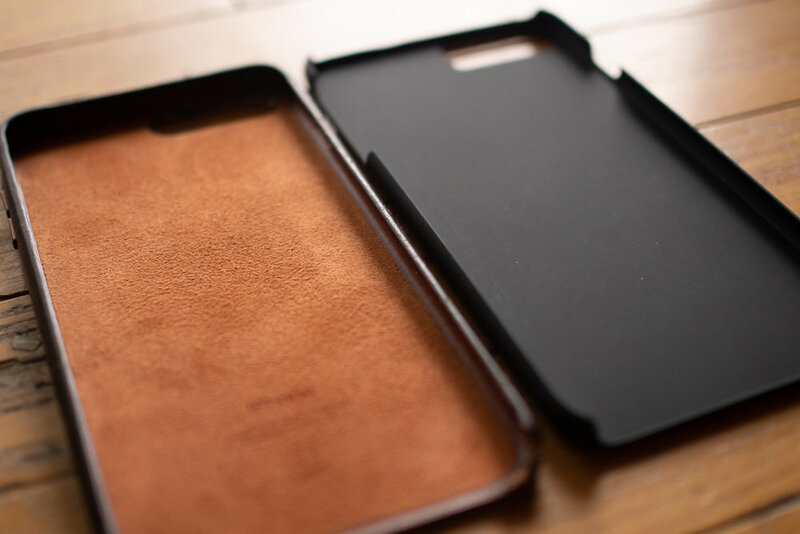 The Shinola case uses harness leather while the Apple leather case is made out of something much softer. But let me first mention the packaging. 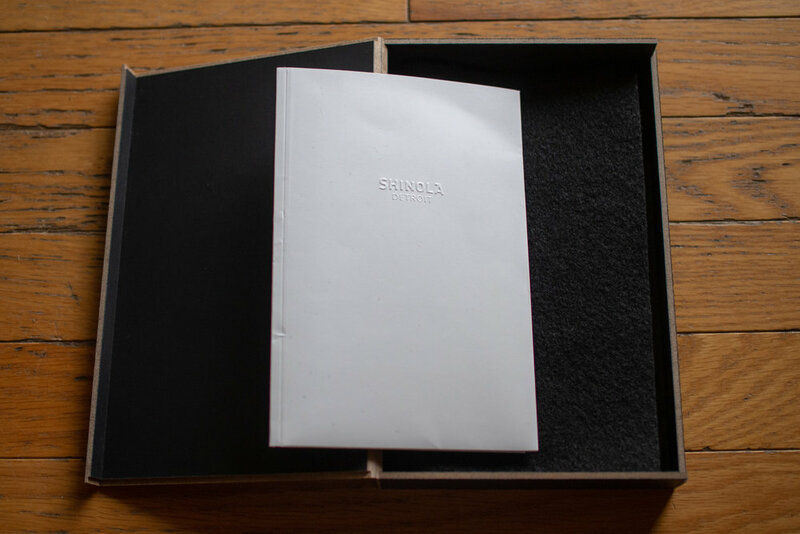 Unboxing the case instantly made me want to order more from Shinola. Outstanding presentation. It is worth mentioning that I'm a Foundry member and I don’t know if that influences packaging. 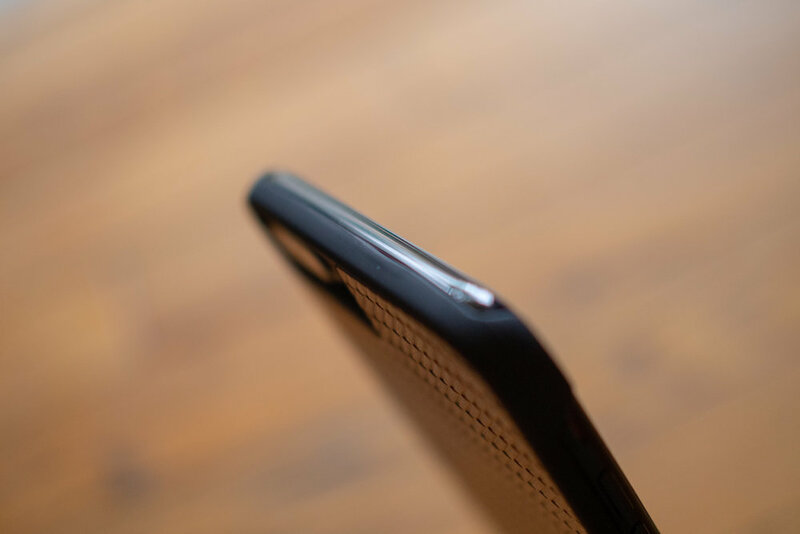 There's no lip around the sides of the phone so you can't set the phone down without resting it on the screen. While I’m worried about scratches, the screens on these phones are generally built to be super tough. I also can’t deny how nice it feels to not feel that lip on the edge. We’ll see if it becomes an issue in the future. 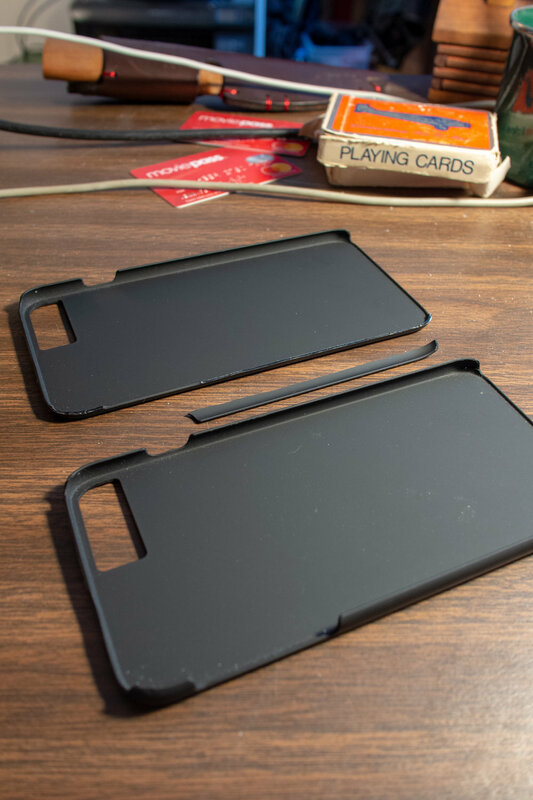 The top and bottom of the case are cut in such a style that makes me feel as if they’re too exposed. I’m not sure if it’s purely a style choice or not but a case should first and foremost be fully functional as a case. These specific top and bottom cutouts leave some of the phone unprotected. The rubber sides provide excellent grip. Much better than the Apple Leather case. Even for a Plus sized phone, it’s quite easy to hold in the hand. 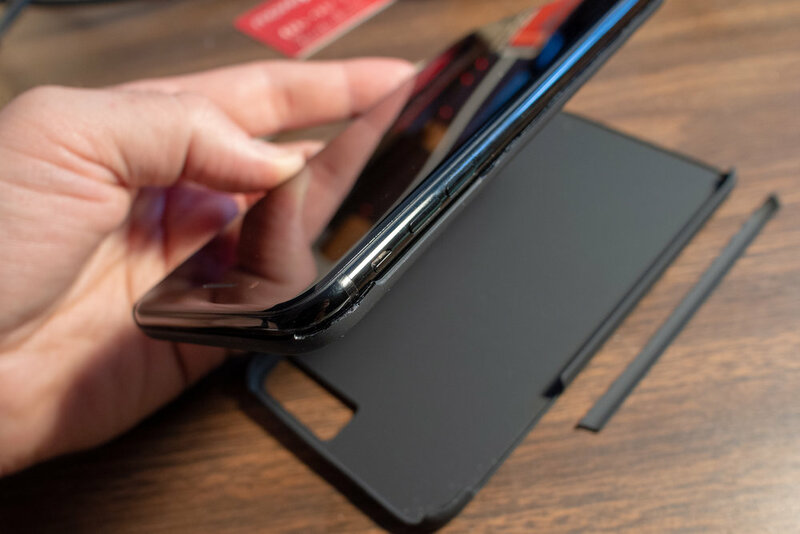 Overall I was happy with the case but just as I was going to post these initial thoughts, my phone took a few tumbles and the case is now cracked in three different places. This is very disappointing and I’m now back on the hunt for a new case. 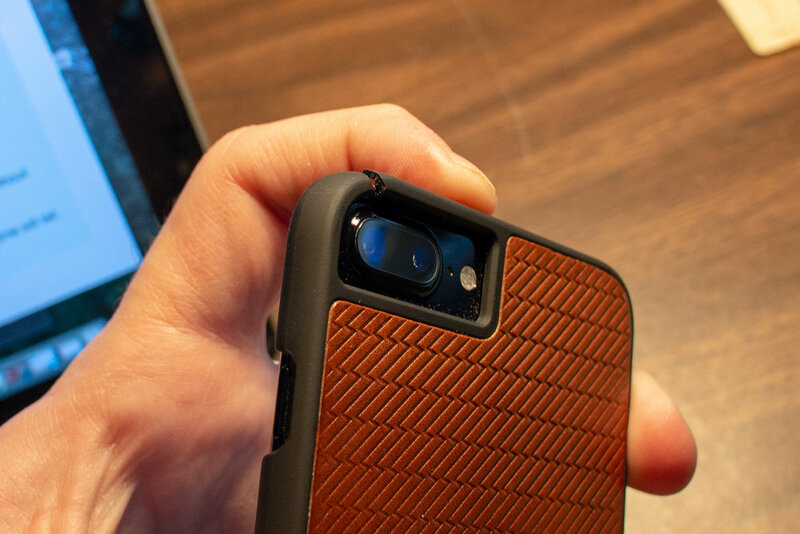 I also emailed Shinola about the cracks and I’m interested to see their response, especially since they say this about the case: “The minimal, sturdy design will protect your phone for years to come - or at least until you upgrade to the next iPhone.“ Well, for me, the case only lasted less than a month. It sounds like this will get sent back in the mail and I’ll dust off the old Apple Leather case until I find a replacement. Update 01: Shinola sent a replacement case. So far so good! Though I haven’t dropped my phone yet. Update 02: The phone took a 2-3 foot drop from my nightstand this morning and the replacement case is now completely unusable. 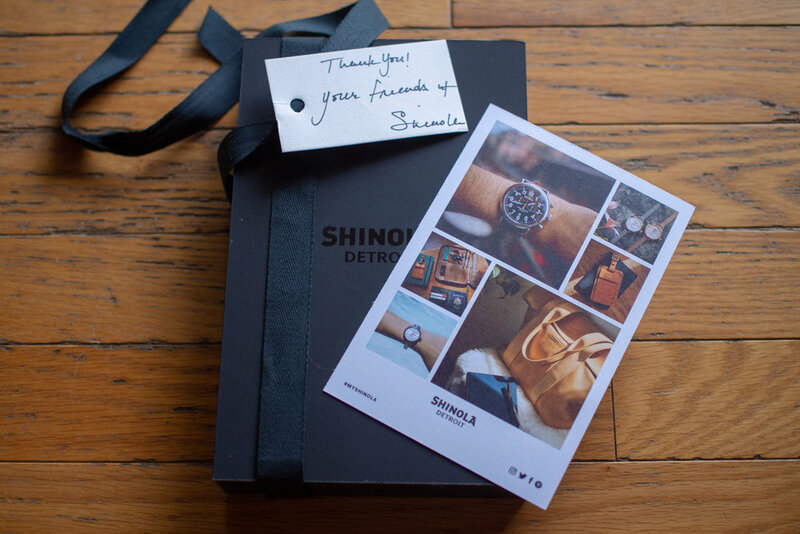 I emailed Shinola again and hope to get a refund. 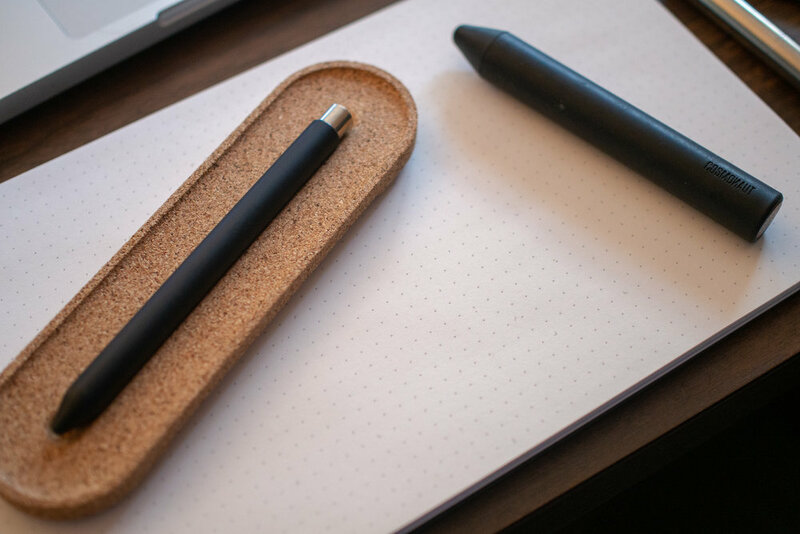 The Studio Neat Mark One is a lightweight, minimal pen, fully constructed from metal, even including the custom click mechanism. It’s also quite versatile because it accepts any Parker-style refill. The Mark One ships with the Schmidt P8126 rollerball but I just switched out mine for the Schmidt easyFlow 9000 M. Both are great cartridges but I’m more used to the easyFlow. The Mark One has been in my possession for only about a week now but I’ve used it enough that I feel I can offer a brief review. Spoiler alert: It’s a fantastic pen. It’s extremely simple yet sophisticated. Aesthetically, the Mark One is right up my alley. This is a personal preference but they do have other styles available that may interest you as well. It’s lightweight but doesn’t feel cheap. In fact, in the hand, it has the balance of a much heavier pen. Rattling can be heard when the pen is shook. I’m no stranger to the interior of my pants pockets getting stained from a retractable pen, as I like to carry pen and paper on me at all times. But I didn’t account for how free flowing the ink was from the Mark One’s included Schmidt cartridge. Even though I got myself a pretty decent stain, I was able to get rid of most of it because I acted super quickly. This was 100% user error, but I mention it as a word of warning in case you were thinking of carrying the Mark One in your pocket too. Even though I won’t be carrying the pen in my pocket anymore, I plan to use the Mark One daily and I’m very interested to see how it breaks in and wears over time. My bet is that the click mechanism should smooth up a bit with more use too. Overall, the Mark One is a great pen and I’m sure I’ll be using it for years to come. 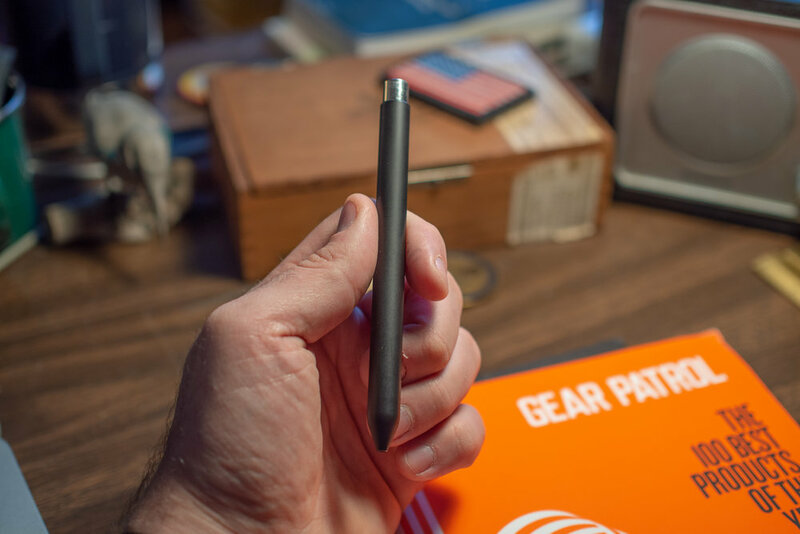 As just one note on how I would improve the Mark One, I’d like to see a small counterweight added to the internals that would keep the pen from rolling freely on a desk. I feel like they addressed this somewhere but I can’t remember where or what their response was. Update: Dan from Studio Neat sent me a replacement Mark One and I’m happy to report that the click doesn’t feel gritty at all and the pen has yet to get stuck when clicked. I guess that first pen was a lemon. Anyways, I’ll keep testing things and will update this post with any new findings.